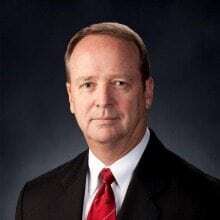 The SI Organization, Inc. announced last week Brett Dody will be the new vice president of its Intelligence Systems Group. The SI is a leading provider of full life cycle, mission-focused systems engineering and integration services to the U.S. Intelligence Community, Department of Defense and other agencies. Dody will oversee a line of business that supports the Intelligence Community customer missions through systems integration and engineering services. Dody joined the SI in 2010 after he retired from government service, where he supported the Intelligence and Defense communities throughout his career. Dody received his M.A. in Computer Resources & Information Management from Webster University. The SI has over 40 years of experience in delivering complex, system-of-systems technology solutions. With over 2,000 employees, the SI helps customers analyze baseline requirements, optimize resources and manage risk.